We are a leading Manufacturer of low down thrust clamp, screw jack, universal step blocks, stepless universal clamp, parallel block and adjustable height plate from Pune, India. We are leading organization in this domain actively engaged in providing a wide array of Screw Jack. Used for supporting a work piece, these screw jacks are well tested on numerous quality parameters for making certain its flawlessness. 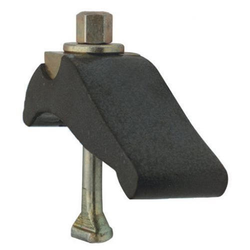 Our screw jacks are manufactured with the finest quality steel sophisticated techniques in line with the market standards by our skilled professionals. 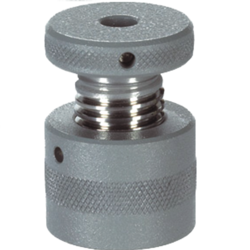 Customers can avail these screw jacks from us at competitive rates in a promised time frame. Screw Jack is stable robust and free from wear and tear. 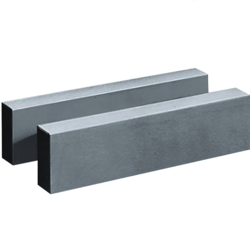 We are instrumental in providing our clients with a perfect quality Universal Step Blocks that is suitable to use as supporting blocks on any machines. The offered product is designed from high-quality components & contemporary techniques in accordance with the set standard. Our product is checked on several quality parameters in order to supply a flawless range. Moreover, this product is available from us on several specifications to choose from. We are passionately engaged in supplying and manufacturing Parallel Block that can be used for different height combinations. Offered product is designed from top notch material as per the quality norms under the supervision of experts. Our product is used to support a workpiece for various machines operations. Also, this product has gained a huge demand in the market for its excellent quality. Owing to our rich industry experience and knowledge, we are engaged in manufacturing and supplying a comprehensive assortment of Adjustable Height Plate. 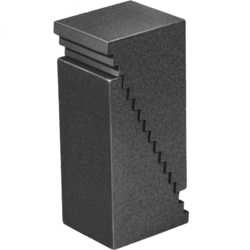 Suitable to use on any machines as supporting height blocks, our offered product required extra height could be achieved by stacking the blocks. This product is manufactured by quality assured material modern techniques in compliance with set norms of the industry. Our patrons can purchase this product in a bulk quantity within a given time frame.